I´m moving to a new place so there will be no new vids for a while. When i´m up and running again there will be video of ex. 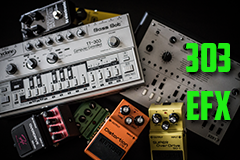 RE-20, SY-1 clone, eventide H9 and more.